Contact us today for more information on our full range of services and free estimates for any job large or small. For non-emergencies and general enquiries, please fill out the form below. We’ll respond as soon as possible. We have been serving the Pueblo community and the surrounding areas of Colorado since 1984. 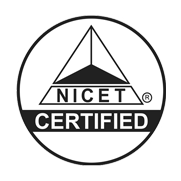 Our employees hold Colorado Master Electrician licenses, are NICET certified, and have as much as 40 years experience in the field. Call us today!